It’s amazing to think about just how quickly the internet and associated technology has evolved. 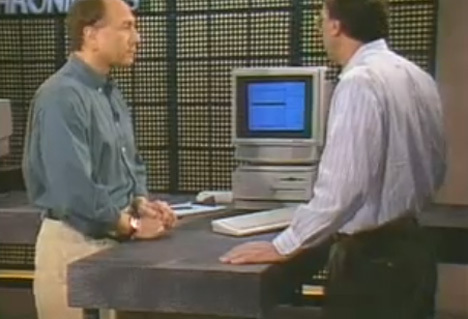 This video from 1995 is an introduction to the internet. Although 1995 wasn’t really all that long ago, this video is like a precious time capsule from hundreds of years ago, containing a lot of wonder for things that today we find totally commonplace and, well, even kind of boring. The New York Times’ John Markoff is a guest on the show Computer Chronicles to share all of the cool stuff he does with the internet. The actions and services described in the half-hour video seem archaic and overly simple to us today, but that’s just because we’ve evolved past the need to use technology for work and other such drab activities. Today the internet is simply a clearinghouse of cat pictures and funny stories about how technology has changed in 20 years. It’s a longish video, but it is definitely worth the time for those who enjoy a nice little stroll down memory lane. See more in Vintage Videos or under Vintage & Retro. April, 2013.